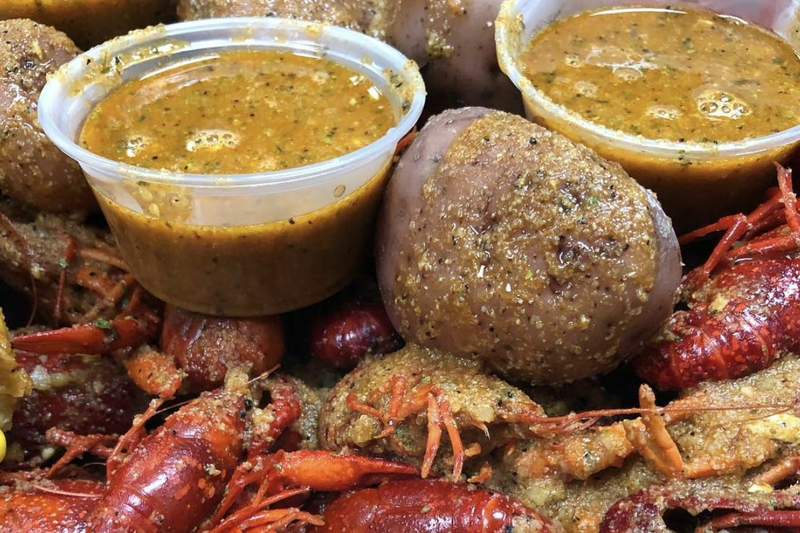 The crawfish come in a trash-bag-lined bowl at Crabby Crawfish. I am by no means a crawfish aficionado yet, but after my latest outing, I know I'm getting the hang of this thing. And I am definitely a head sucker. 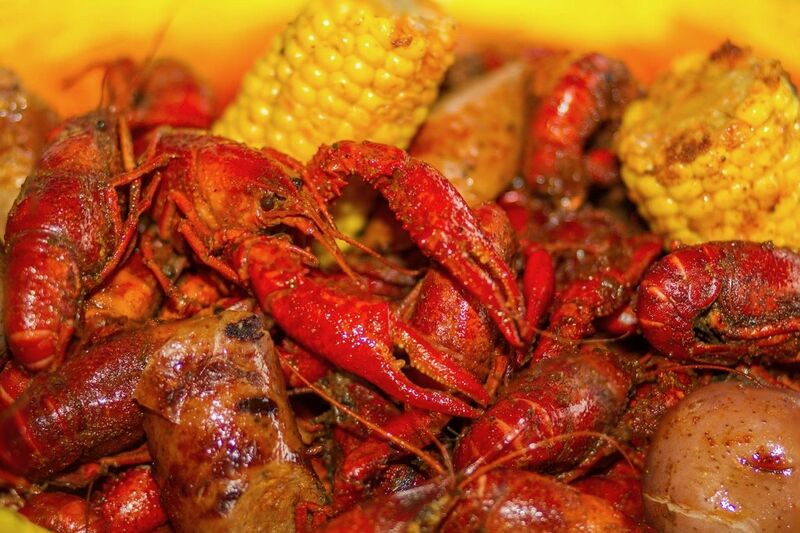 A friend flew into town this weekend and, upon learning she never tried crawfish, we coaxed her into trying it. So we ventured out east, where one of her acquaintances lived, and stopped at Crabby Crawfish off Allen Genoa Road on the Pasadena border. Inside the eatery's unpretentious digs, as Latin music pumped and families twisted away at their crustaceans, we settled in for a two-hour festival of finger food. 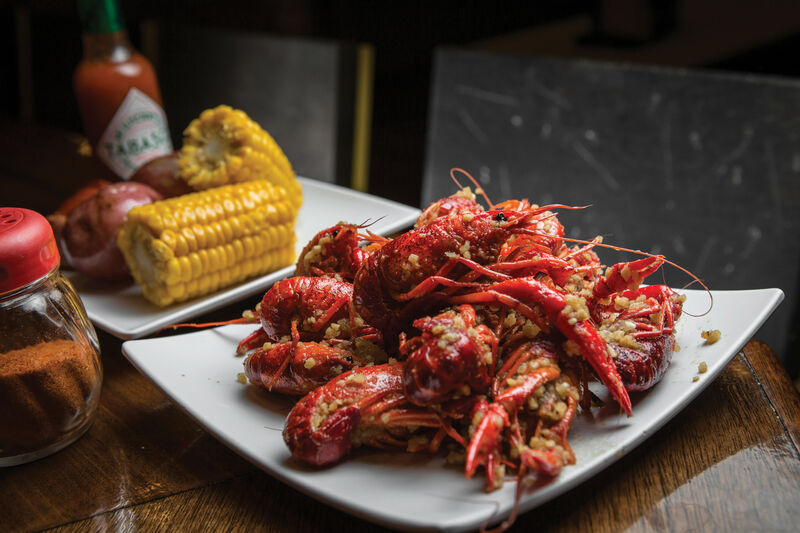 My friend had one crawfish, and she liked it despite being slightly worried about the method, but she quickly retreated to her fried seafood, which the restaurant does effectively with its crunchy, perky cornmeal batter. As for me? 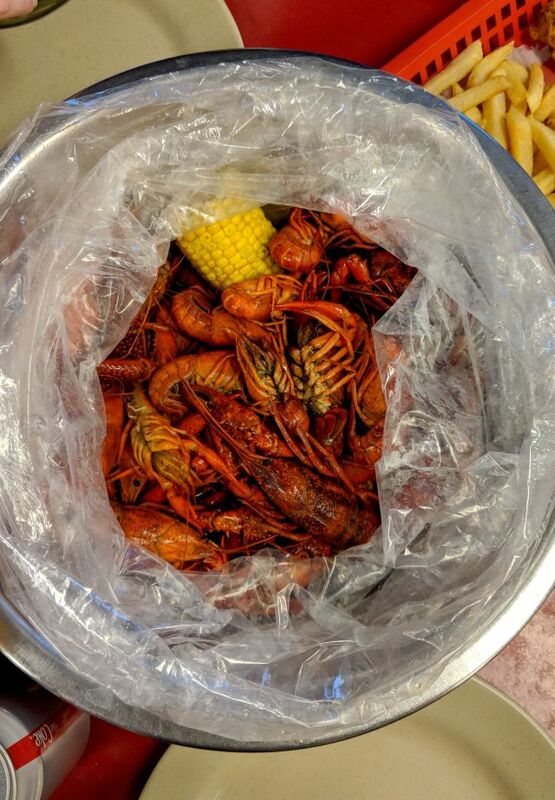 I dug right into the mudbugs, arriving inside an enormous metal bowl lined with a plastic trash bag. I ordered three pounds of the mild spice blend, which came with melted butter and limes. A medium spice blend is on each table, and I added some of that as I went along. I love crawfish. As someone who revels in picking apart food and can't get enough seafood, it's up my alley. But while twisting off the tail and sucking out the meat is great, I found that my true calling is sucking out that hepatopancreas, the yellow stuff toward the head that's packed with rich, fatty juice. Maybe it's a food and drink completist thing. I can't discard a chicken wing until I've cleaned the bones of even the smallest shred of meat. I can't leave three sips of beer in my cup. If I have room in my stomach, the food is going into it. Or maybe it's the way the fattiness of the crawfish juice soothes your soul. I don't know, and I don't care. It's just delicious. I'm Team Crawfish Head. 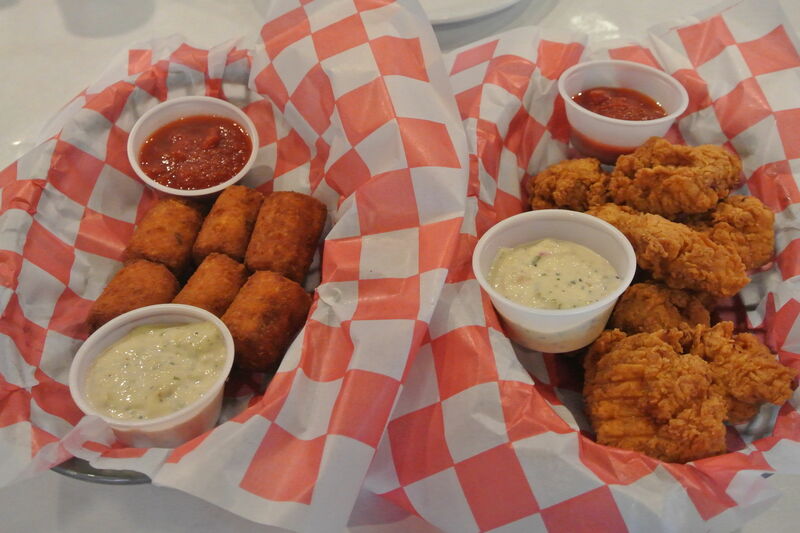 $$ Seafood 2210 Allen Genoa Rd.